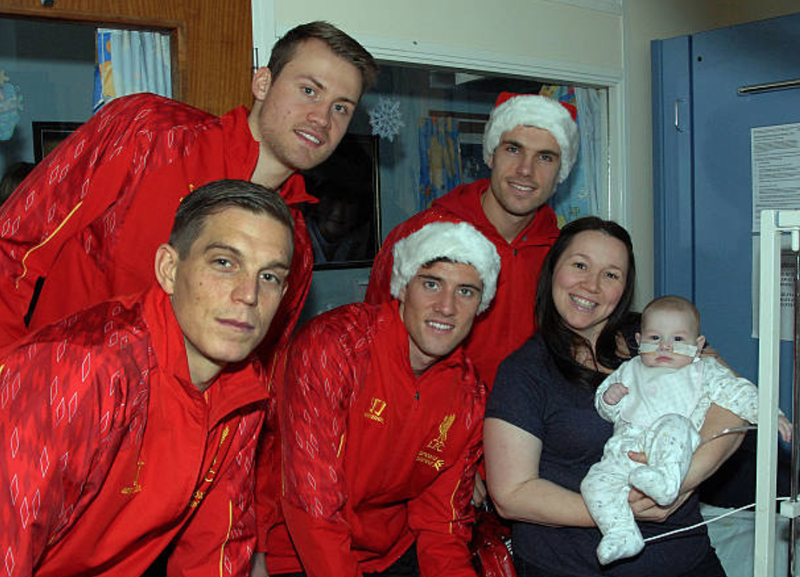 The Liverpool FC squad and staff took time out from their preparations for the busy festive period on Wednesday afternoon to spread some festive cheer as they made their annual Christmas trip to Alder Hey Children’s Hospital. 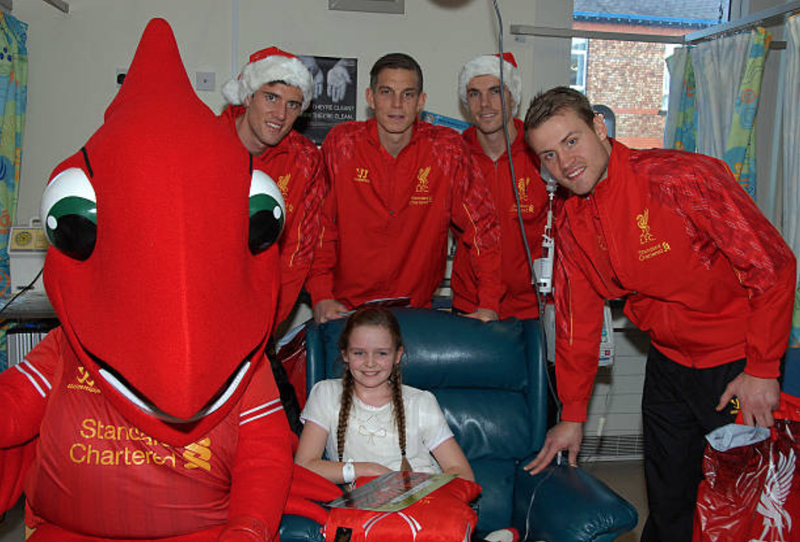 The Reds made their annual trip to the hospital, which is a short journey from the club’s Melwood complex in West Derby. 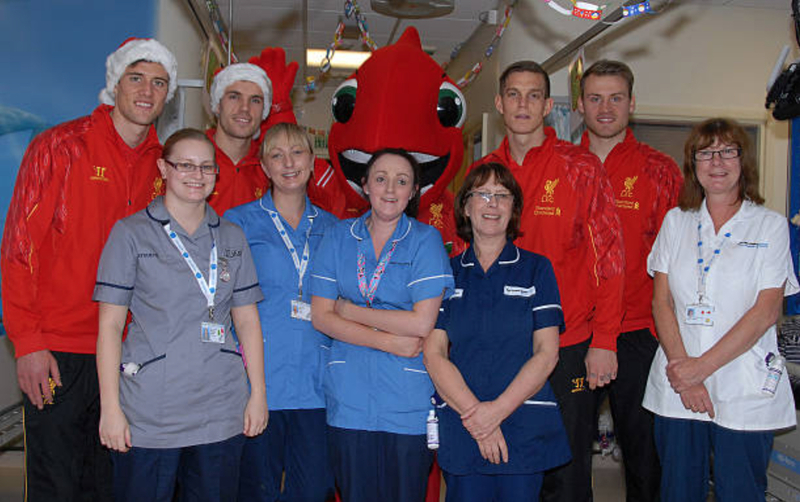 Paying a special visit to children who are facing up to the prospect of remaining on the wards for Christmas and beyond. 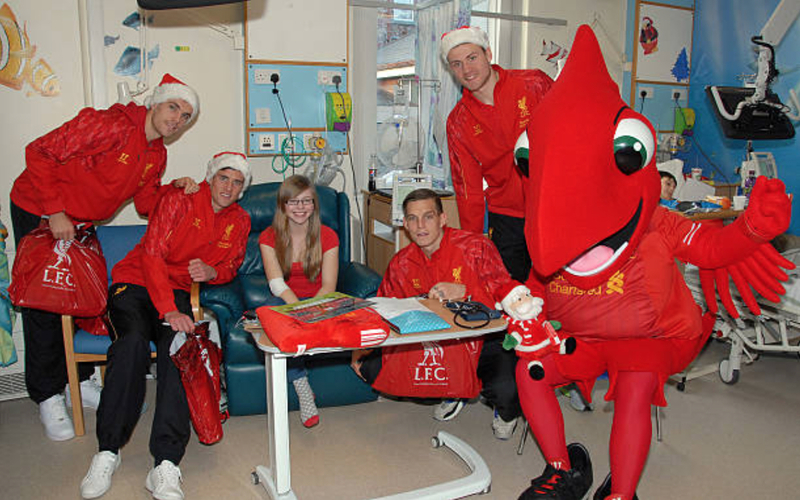 Along with club mascot Mighty Red, the players were more than happy to spend time with the young patients, and chat to their parents. 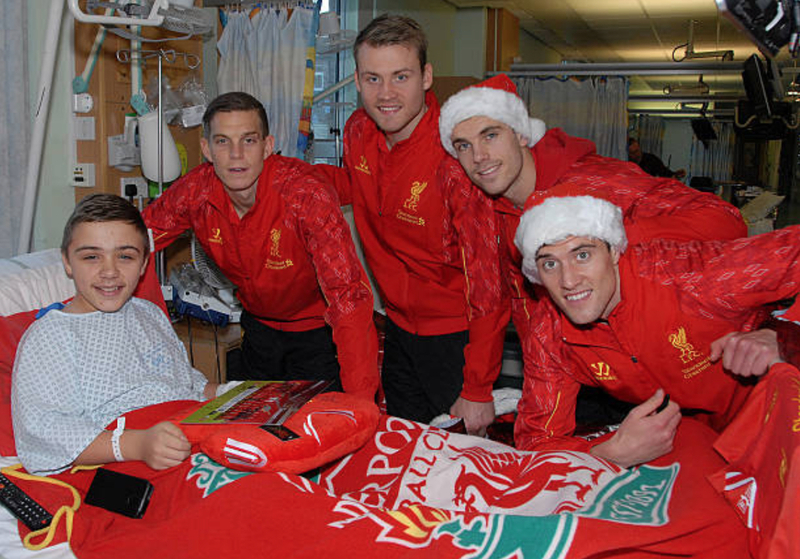 As they toured through the wards of Alder Hay they handed out goodie bags filled with LFC gifts. 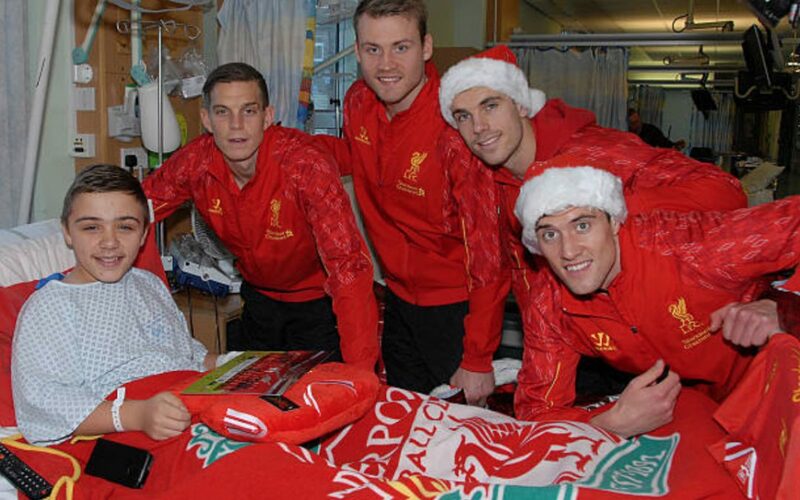 The purpose of this foundation is in particular to try to make a difference for children in need. The reason for this can be sickness or difficult circumstances during upbringing. By shopping on our site, you automatically supports our purpose.